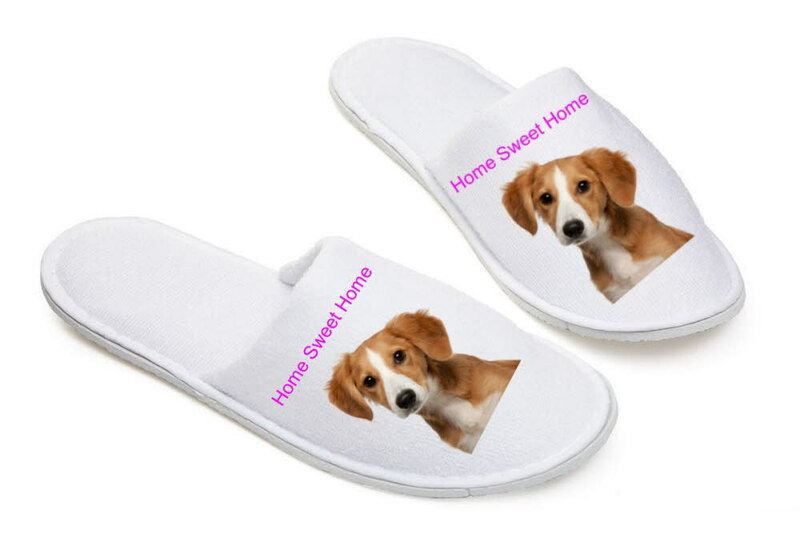 Personalise these unique slippers with your design/photo and even add text at no extra charge! Mule style travel slippers which also make a great personalised gift to wear at home. White polyester 200 gsm velvet feel fabric, with satin edging. Non slip rubber sole. Can be a perfect unique gift that noone else will have - a must have gift for all occasions, Birthdays, Anniversary, Engagement, Christmas..its endless!